I decided that this would be the perfect opportunity to use up some of my large vast collection of toppers from Kanban Card. 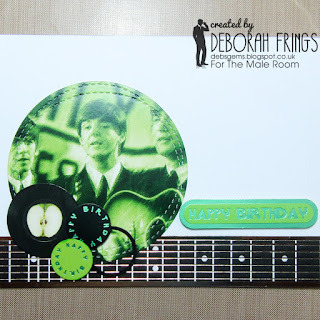 The first card has a 1960s feel and is based on this week's layout from Freshly Made Sketches - FMS#252 - it just seemed to work perfectly with the simple images. 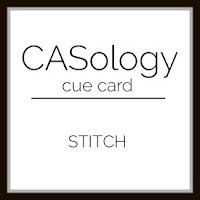 I cut the main Beatles image using a stitched die so I'm also going to submit to CASology - CAS#213 where the cue word is Stitch. 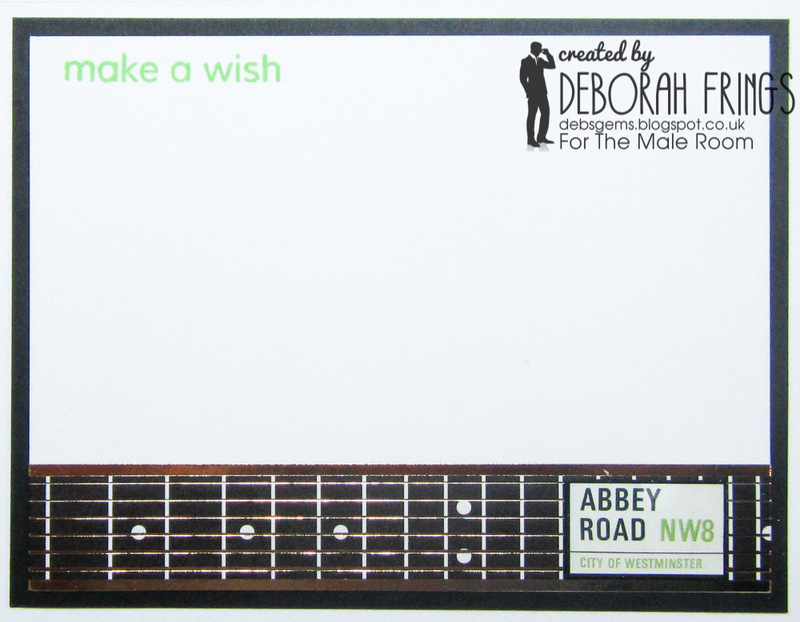 I used some self-adhesive ribbon from Kanban that looks like the frets on a guitar and edged the bottom of the card. I adhered the picture image and the little apple circle flat to the card. 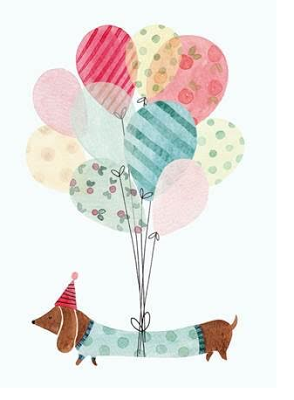 I used dimensional tape to attached the two small birthday circles. I finished the front with a greeting from the same topper sheet. On the inside I cut a mat layer of black card and on the white panel added some more of the self-adhesive ribbon, a little road sign and a greeting. 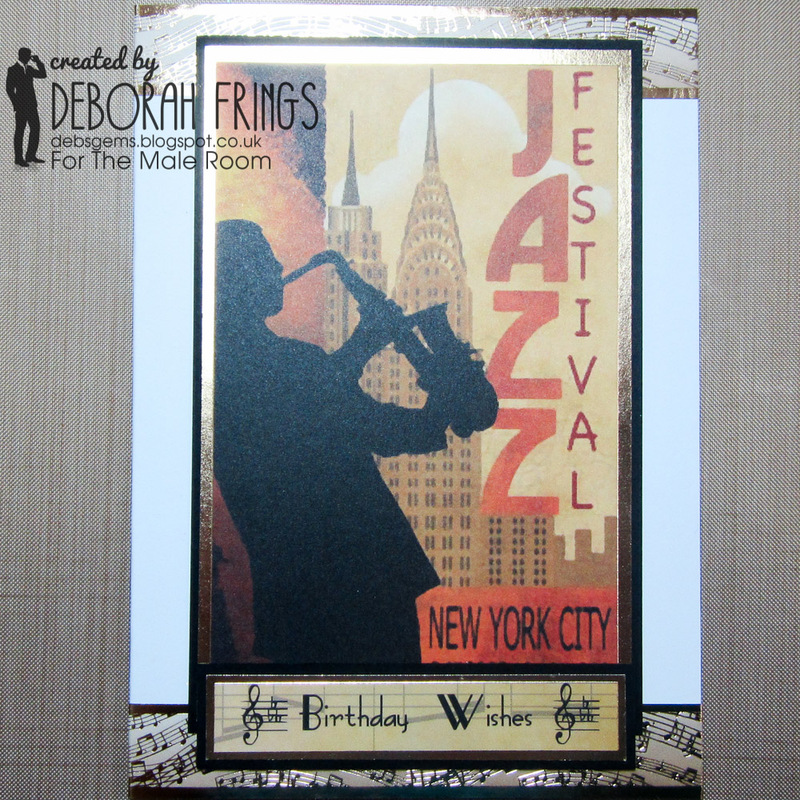 The second card has a more 1920s feel with a Jazz theme. 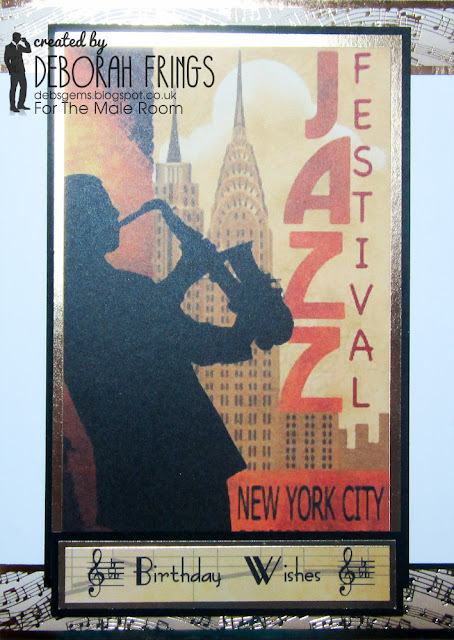 Once again I used self-adhesive ribbon to edge the top and bottom of the card. I layered the image and birthday greeting on black card and adhered them to the card. On the inside I cut a mat layer of black card and on the white panel added a simple greeting and a sparkly treble clef! 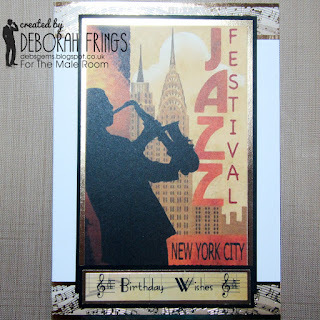 I'm submitting this card to City Crafter Challenge Blog - CCCB#327 where they want to see Birthday Wishes. Do visit our blog to see more masculine style projects from the rest of the team - they are all just fabulous!! That's all for now! Wow! Two very different but equally amazing cards. Being a girl of the 60s the Beatles one really has strong appeal and I love its funky style. 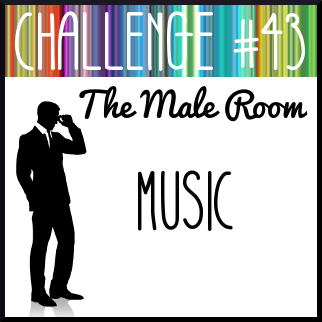 Terrific cards for our challenge! Thanks so much for playing along at CCCB!! 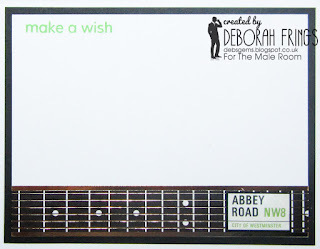 Fabulous cards Deborah both so different, but so VERY effective. I loved the Beatles and my father used to tell me off for screaming in front of the TV when they came on LOL. Great cards, love them both and a really good way to use up stash. What a fun theme and creative cards! Thanks for joining us at Freshly Made Sketches this week! 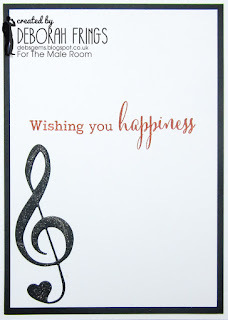 As a music lover, I am LOVING these cards!!! 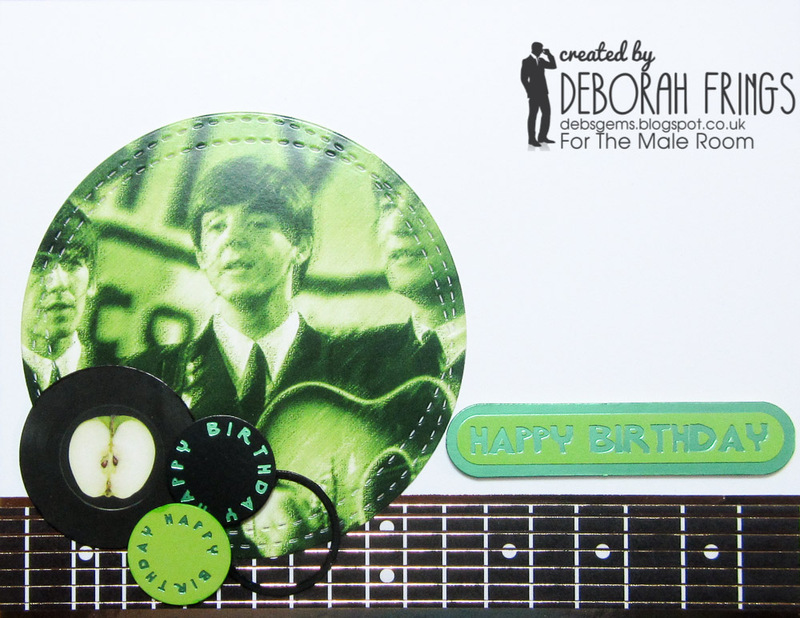 Wow, the Beatles card is so cool...and I love the stitched circle die you used! 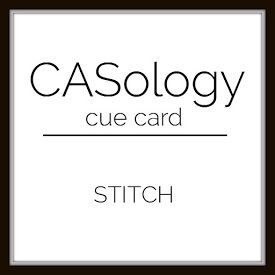 Thanks for linking up with CASology this week!